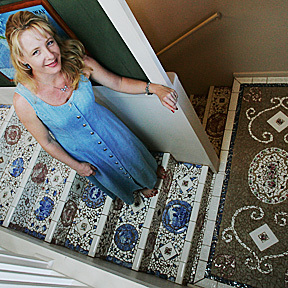 Susan Valle has covered a staircase of her home with mosaic created from broken ceramic bits. She also creates original pieces, such as platters and teapots using the technique. Valle, who calls mosaic the "ultimate recycling art," teaches classes at the Wahiawa Community School for Adults.